The Radeon RX 580 originally launched with a $200 price tag, but this model includes a custom cooling solution with two fans. That counts as a deal in this era of hyper-inflated graphics card prices—and a great one at that. 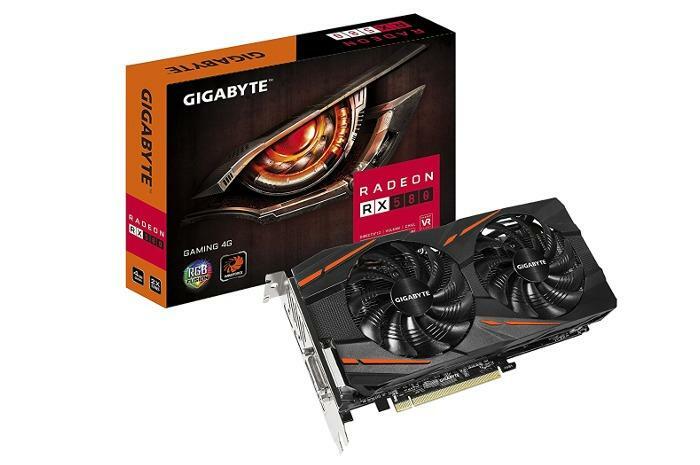 Most new Radeon RX 580 models are still selling for $270 or more. While Nvidia’s GeForce graphics cards started approaching sane prices in late spring, the costs for AMD hardware has remained high due to Radeon’s superb compute abilities. We loved the Radeon RX 580 when we reviewed it in April 2017. It still offers uncompromising 1080p gameplay at 60 frames per second with all the in-game visual bells and whistles cranked, respectable 1440p performance at High graphics settings, and entry-level performance for virtual reality gaming. If you plan on primarily playing at 1440p, then it might be better to deal hunt for an 8GB version due to the increased memory demands of higher-resolution gaming. Otherwise, more graphically demanding games will have to be toned down in areas such as texture fidelity for better playability. This 4GB card offers a core clock of 1,340MHz and a minor overclock bump to 1,355MHz. It’s got two fans with Gigabyte’s Windforce 2X cooling system that includes a 90mm blade design, and RGB Fusion lighting if you want to add lighting effects.